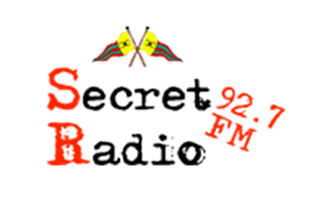 Secret Radio 92.7 FM will meet the information, entertainment and education needs of the 2 interrelated niche sectors that contribute significantly to the island’s economic development; Tourism and Education, as well satisfy the entertainment desires of the citizens of Grenada. The station, based at the Secret Harbour Marina in L’Anse Aux Epines, St George, will follow an adult contemporary format, reflecting a high quality international music content, interspersed with information that is relevant to the tourism sector, particularly the yachting industry, international students and visitors generally. Secret FM will also offer unique opportunities to its listeners to win prizes through several exciting daily programmes. One such programme is The Secret Radio Safe, which allows listeners to win a growing pool of money, if they identify the exact value of The Safe, at any time of the day. Listeners to Secret Radio 92.7 will also benefit from partnerships with other members of the business community. Secret Radio is part of the Paradis Group, which includes Secret Harbour Marina. Well-known Grenadian broadcaster, Richard Simon, who brings over 30 years of experience and knowledge to the operation, will serve as Director of Programming. The station officially began operation on Saturday. Secret Radio: Don’t tell anyone.